As media commentators say the Fairfax/Nine merger will change the face of the media landscape in Australia, the MEAA is calling for the ACCC to block the merger. Fairfax Media and Nine Entertainment are joining forces, creating a $4.2 billion integrated media firm that will establish Nine as one of Australia’s leading independent media companies. The merger represents one of the biggest moves in Australian media history. The proposed transaction - subject to required approvals - will be implemented by Nine acquiring all Fairfax shares under a Scheme of Arrangement, according to the ASX statement. Mike Wilson, CEO of Havas Media ANZ, asked if the media ownership law change was the asteroid, what will happen now to the dinosaurs? “We have our first answer. And there will be more to come, of course, and the media landscape will be changed dramatically. 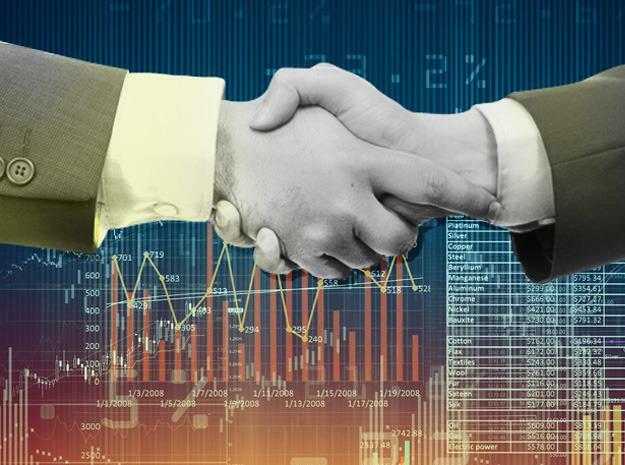 Mergers (although this looks more like a takeover) of this scale are notorious for throwing up surprises, though, and for Nine the 'cultural integration' play will be key, as shareholders are busy celebrating efficiency gains,” Wilson told CMO. However, MEAA is insisting Nine’s takeover of Fairfax will be bad for Australian democracy and diversity of voices in what is already one of the most concentrated media markets in the world, and is calling on the ACCC to block the takeover. “This takeover reduces media diversity. It threatens the editorial independence of great news rooms at Nine, the Sydney Morning Herald, The Age, Canberra Times, Illawarra Mercury, Newcastle Herald, Macquarie Media and more – right around the country. It harms the ability of an independent media to scrutinise and investigate the powerful, threatens the functioning of a healthy democracy, and undermines the quality journalism that our communities rely on for information,” Marcus Strom, president of MEAA Media, said. Following completion of the proposed marger, Nine shareholders will own 51.1 per cent of the combined entity with Fairfax shareholders owning the remaining 48.9 per cent. The combined business will be led by Nine’s current CEO, Hugh Marks. Three current Fairfax directors will be invited to join the board of the combined business, which will be chaired by Nine Chairman, Peter Costello and include two further current Nine directors. The combined business will include Nine’s free-to-air television network, a portfolio of high growth digital businesses, including Domain, Stan and 9Now, as well as Fairfax’s mastheads and radio interests through Macquarie Media, the statement said. Nine chairman, Peter Costello, said both Nine and Fairfax have played an important role in shaping the Australian media landscape over many years. Fairfax chairman, Nick Falloon, said the Fairfax Board has carefully considered the proposed transaction and believes it represents compelling value for Fairfax shareholders. According to the ASX statement, the merger is expected to deliver annualised pro-forma cost savings of at least $50 million which will be fully implemented over two years. The proposed transaction, on a pro forma basis, reflecting the full benefit of the cost savings, is expected to be earnings per share neutral for Nine shareholders, prior to any consolidation adjustments. Importantly, the combination unlocks the potential for significant value creation by combining the content, brands, audience reach and data across the respective businesses, including majority owned group companies Domain and Macquarie Media, the statement said. After completing the proposed transaction, Nine will review the scope and breadth of the combined business, to align with its strategic objectives and its digital future. invest in the future of the business through 9Now, Digital Publishing and Stan. “This merger with Fairfax will add another dimension, creating a unique, all-platform, media business that will reach more than half of Australia each day through television, online, print and radio. “For our audiences and employees, this means we will continue to be able to invest in premium local content across news, sport, entertainment and lifestyle. For our agency partners and advertisers, we will provide an expanded marketing platform with even greater advertising solutions underpinned by a significantly enhanced data proposition. success of Fairfax’s transformation strategy which has created value for shareholders through targeted investment in high growth businesses, such as Domain and Stan, and prudent management of its media assets. It's anticipated the proposed transaction will be complete before the end of this calendar year. Meanwhile, the Australian Association of National Advertisers (AANA) has weighed into the conversation, signalling both optimism and caution. “We’re optimistic that the Nine-Fairfax merger will create more value for advertisers, but we still need to see more detail to ensure that the deal enhances, rather than diminishes, the consumer experience,” AANA CEO, John Broome, said. well as big print, streaming, free-to-air and radio audiences. Assuming the deal receives regulatory and shareholder approval, the new company will have an opportunity to provide advertisers with access to quality, segmented audiences on a mass scale. With files from Vanessa Mitchell.